Amy provides support and assistance related to all Human Resource and administration needs at DASI. She has several years’ experience working in an office environment and holds an Associate of Applied Science in Business Administration. She loves supporting our team and being a part of the happiness that progress in treatment brings to children and their families. 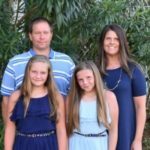 In her free time Amy enjoys spending time with her husband, two daughters, and four dogs. She loves to read, garden and cheer her daughters on at their sporting events. She also enjoys teaching Religious Education at her local catholic church.